The temples of Angkor, breathtaking in the right light, moody and sombre in the rain and always fantastic if you can avoid the crowds of visitors. My father and I only spent a few hours visiting Angkor Wat, Ta Prohm and my personal photographic favorite, The Bayon. 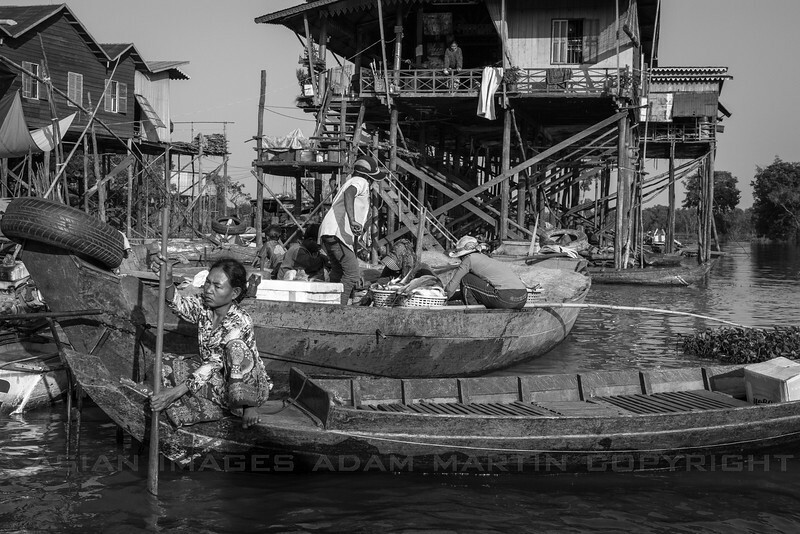 The village of Kampung Phluuk stands tall over the waters of the Tonle Sap - for now. The houses perch on stilts, some over 8 metres high giving you some idea how much water during the rainy season makes it's way in to the heart of Cambodia. At this time of year, when these photos were taken (1st - 4th Jan 2014) the water was low but it still has some way to go before the lake shrinks further.